As a stock photographer, it’s important that I do my very best to make sure my images are properly edited and color corrected. One tool I use to help me with this process is a monitor calibration device. Calibration is important to me because if I did NOT calibrate my monitor then my images may end up being too bright or dark, or have a strong color cast when other people viewed them on their screens. Now, I do realize that not everyone who views or purchases my images calibrates their monitor, but the way I like to explain monitor calibration is that it is like “leveling-out” your screen (you know, those yellow things with the bubble in the middle of them). Some people’s monitors might be “off-balance” to the right or left, but as long as your screen is balanced in the middle then your photos will, for the most part, look pretty normal to everyone else. There are several types of calibration devices out there. Some are intended for screen-only use (like the one I use, a ColorVision Spyder2 Express ), and others are made specifically for printing, which tend to be more expensive. If your photos go from your camera to your computer, web, or online printing service then you don’t need anything fancy. Spyder2 Express costs less than $60, works on either Mac or Windows machines, is really easy to use, and has worked great for me for the past two years. thanks for the post, do you know if spyder supports dual monitors, i only could calibrate one. I use the Spyder2 Express also. 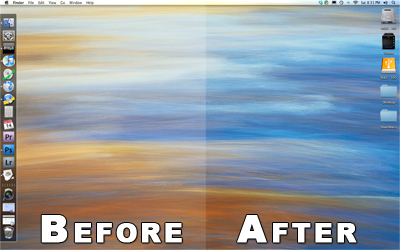 It works very well on my iMac and I haven’t noticed any appreciable ‘drift’ in my LCD monitor over the last year. @Ilan – LCD screens are much more stable and require less frequent calibrations than CRT. @bradyo – the Express version only calibrates 1 monitor. But if your on a mac there is a workaround to calibrate multiple monitors. Set the monitor that you want to calibrate to be the main monitor in the Sys Preferences. Start up the Spyder2 software and calibrate the monitor. It will save an icc file called /Library/ColorSync/Profiles/Spyder2express. Then go into sys preferences and set your display to use this icc profile. Then do the same for the 2nd monitor. The trick is Spyder will not be overwriting the icc file created for the 1st monitor so you end up with 2 files and you can set which one is used for which monitor in the sys prefs. You can’t just rename the icc file, you have to rename the ‘Localized Description Strings’ as this is what gets displayed in the monitor setup panel in the sysprefs. You may be able to do this on the PC as well. The most important part of any calibration is that you need to be able to set the white point. I just had that problem with a Colormunki Create. The software doesn’t support this very feature and on an Apple Cinema Display it assumed a white point of 9300K which made everything gray get a blue-ish hue. Using it like that would cause the rest of the world seeing your stuff with a yellow shift since you’d obviously would work towards making each image look normal to you, trusting false settings. I’m now on a i1 Display 2 and the colors are now to spec again. And for calibrating 2 displays that’s fairly straight forward on the Mac. Calibrate each individually, assign the profiles via the display menu. Spyder2 Express for me too, this time on a Vista machine. To say I was surprised at the difference on my Samsung 24″ flat panel is a massive understatement. Images I had previously processed pre calibration and also on my laptop before getting a new PC and the aforementioned 24″ screen were surprisingly different. Good thing about Spyder2 is it reminds you to re-calibrate after a set period. Just plug in the device and let it run, 10 mins and all is re-confirmed again. Well worth the $ for the end result. I recently started calibrating with a Spyder 3 Pro, and for lack of a better term, it blew my mind when I calibrated the first time. EVERYTHING is different, for the better, now. Have used the Spyder 3 for about 6 months. Everything has printed in the exactness of what I see on my 24″ iMac. I use SmugMug and print through there services. I chose the “do not correct” option, and the prints look perfect when compared to my monitor. I also sent the same batch with the auto color correction option picked. These did not come nearly as close to what I see on my monitor. I get the warning periodically from the Spyder 3 software that it’s time to recalibrate. It’s working so perfect right now that I’m afraid to recalibrate.